In partnership with the Literacy Council, we offer Adult Education Classes on Tuesdays and Thursdays at the Together Community Center throughout the year. Through the class this year, three individuals earned the GED. One graduate, Mary Keim, won the Outstanding Achievement in HSE Studies award. Last March, at the age of 17, Mary joined the HSE class at the Together Community Center. Her teachers, Crystal Sload and Mike Carle were there to cheer her on. Until recently, Mary had been in foster care with limited educational opportunities. She was working three jobs to support herself, had a leadership role in her church and was providing childcare for her niece. Mary committed to her studies and when she passed the first test, she knew her goal was in sight. Mary’s academic accomplishments, viewed in the context of her busy life, are truly exceptional. Mary is planning to enter postsecondary education in the fall. We are SO proud of Mary and these graduates for their incredible work in pursuing education and developing intellectual resources. Another graduate will meet with Career Link at the Together Community Center to learning about further job and educational opportunities. 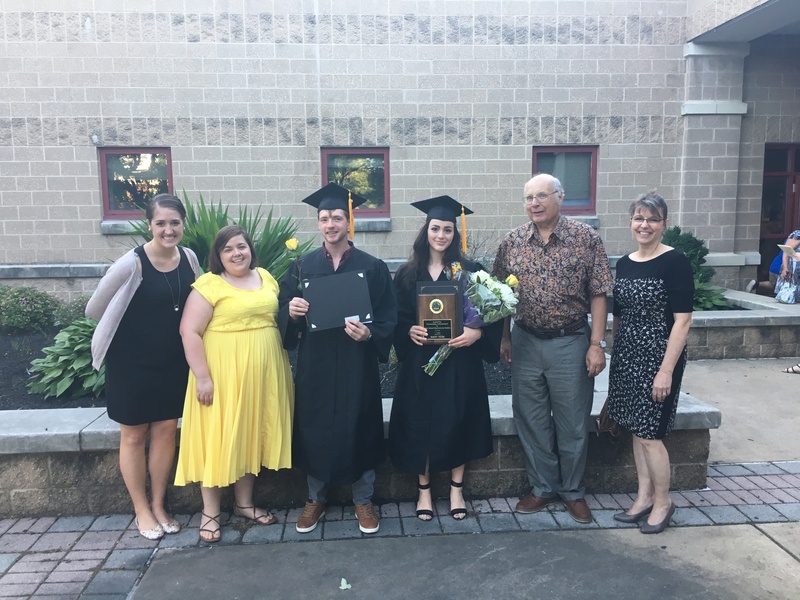 Here is a picture of two of the graduates, Andrew and Mary, with their GED Instructors Crystal Sload and Mike Carle, and Self-Sufficiency Advocates Shira and Marilyn.